Traffic school reduces the stress of increased driving record points and the higher insurance rates that come along with them. Imagine reducing the stress of Kentucky traffic school by not attending “school” at all. With the help of our partners at I Drive Safely, there are no limits to the ease, comfort, and convenience of taking KY traffic school online. POINT REDUCTION AND INSURANCE SAVINGS! 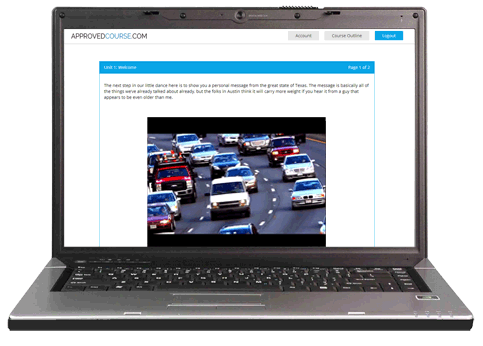 With our online traffic school program, wasting time in the misery of classroom traffic school is a thing of the past. The pace is set by you, and your course is complete when you decide it is. This online traffic school course is 100% web-based, giving you the ability to set your own schedule and pace based on your own learning style. How you take the course is completely up to you! Study from the comfort of your own home - there's no need to spend an entire Saturday cooped up in a classroom. Complete your course from any PC - if you have to change locations, log out, head to your favorite park, library, coffee shop or room of your house, log back in and keep on truckin’. Work at a speed that works for you - spread the material out over a few days, or power through the entire course in one night. Since the schedule and location is absolutely flexible to your lifestyle, you’re in control of completing the course at your own pace. It is far easier and more convenient that taking in-person classes at a location and time that doesn't work with your schedule. Insurance providers often offer discounts to customers who complete a traffic school course. To check whether you qualify, contact your agent today. In case you do, our course is an easy way for you to save money on your insurance bills! What Can I Expect From an Online Traffic School Course? At the end of each unit, you'll take a brief multiple-choice test to prepare you for a final exam at the end of the course. Don’t let the final worry you. You’ll be offered unlimited retakes, but ultimately the course will prepare you to pass the test stress-free. There's no hassle or fuss with any part of our course, and that includes letting the court know that you have completed your course. We’re dedicated to getting you what you need when you need it. If you complete your course before 3 p.m. CST, we'll process your certificate and report your completion to the court the same day. No paperwork, hoops to jump through or racing to the post office. Just “get ‘er done, ” and we’ll do the rest. We would suggest that you might like to get a copy of your completion certificate for your own records. Paperwork mishaps at the court have been known to happen. With your own copy of the completion certificate, it's fast and easy to clear up any confusion. Traffic School Questions? We Have Your Answers! If you're unclear about anything related to the course, don't hesitate to call our customer service team. We're here 24 hours a day, seven days a week to ensure that you don't run into any problems with your traffic school course. You can reach our trained and helpful support experts by email or phone call, whenever you need them. 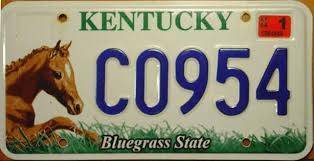 Whether you live in Kentucky or are just visiting, getting a traffic ticket can certainly change the mood of your whole day.The good news is that drivers in Kentucky have the opportunity to take State Traffic School (STS) in order to keep a violation off their driving record. The purpose of traffic school is to provide valuable information to help you to stay safe as you get back on the road. To attend traffic school (even online) requires a court referral. Step one is to contact the court in the jurisdiction for a referral to traffic school. If you qualify, the court will notify the Division of Driver Licensing. The DDL will then send you a notice including instructions on how to enroll in a course. It is important to understand that once you’ve been referred to take traffic school in Kentucky it becomes a court order. At this point, it is not voluntary, and your license could be suspended if you do not complete a course by the deadline provided. While traditional traffic school is offered at many locations across the state, they may not offer classes that work with your schedule. Avoid the possibility of missing your deadline by signing up for our course today!